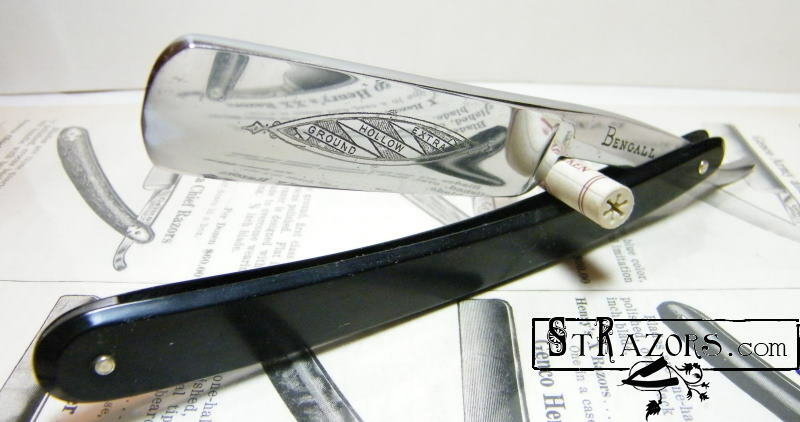 STRAZORS.com - all about classic razors - Bengall, Thomas Radley Cadman, Sheffield. Bengall, Thomas Radley Cadman, Sheffield. The Cadmans were an old Derbyshire family from Eckington, a hamlet several miles south of Sheffield. Originally the Cadmans were farmers (maltsters), but in the 18th century, the family was drawn into cutlery industry. 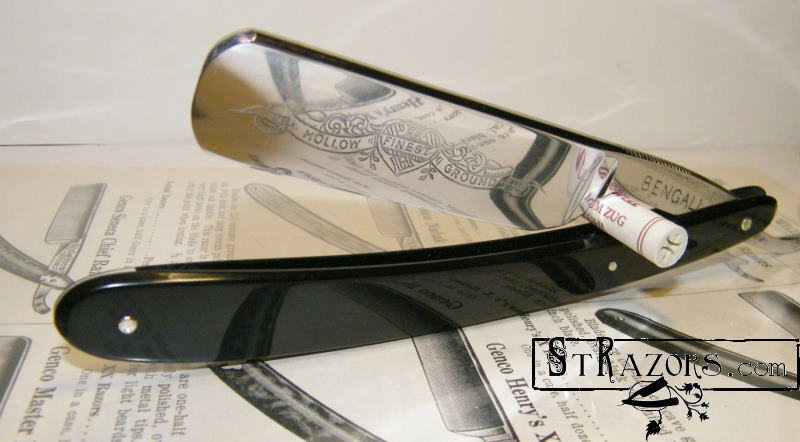 Many of he Cadmans specialized in razor manufacture. The best known Cadman businesses were Charles Cadman & Sons, David Cadman, Peter Cadman, and Thomas Cadman & Sons. This branch of the family began with Luke Cadman (1695-1744), Oxclose Farm, Eckington. Three of his sons went into the Sheffield trade. Luke Cadman (1727-1788), the second son, moved to Sheffield in 1740 and became a Freeman of the Cutlers' Company in 1748. And was granted the mark "BENGALL", later the firm also used a picture of a running hare above the word "VIVID". By 1871, the enterprise had been taken over by Thomas Radley Cadman (1833-1917), the grandson of the founder. It was located in St Mary's Road (and remained there until 1938). 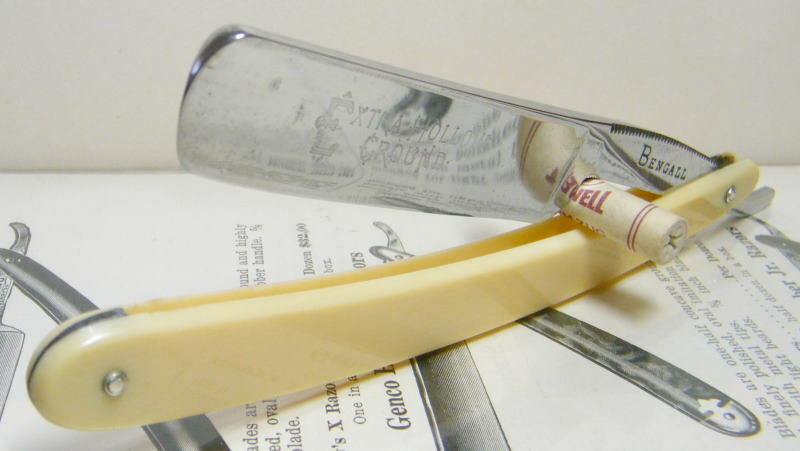 By 1933, the firm had diversified into safety razor manufacture. At the beginning of WWII, Cadman's had moved to Matilda Lane. Matilda Lanes was still Cadman's address when it ceased business in the summer of 1965. The firm occupied a number of addresses in Sheffield including premises on Surrey Street and Fargate. From the Tweedale's Directory of Sheffield Cutlery Manufacturers by Geoffrey Tweedale. Who was Thomas R. Cadman & Sons Ltd?